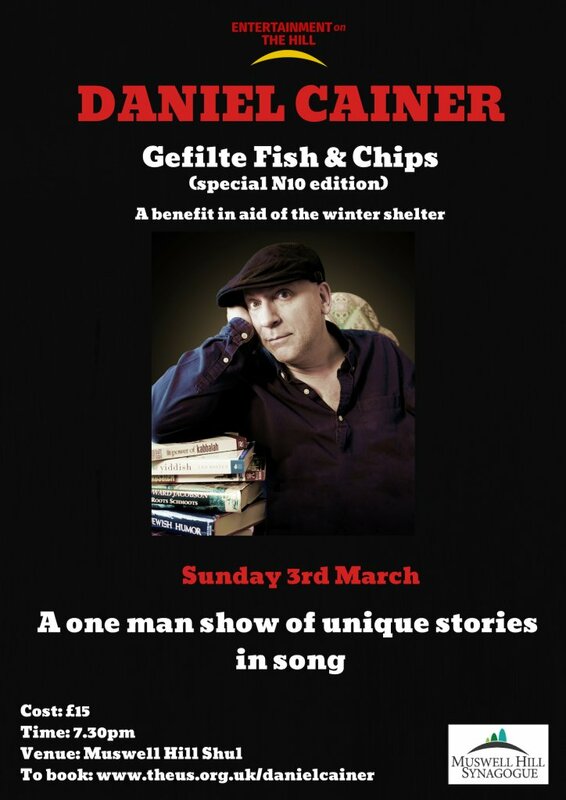 We are delighted to announce that Daniel Cainer will be performing his haimische one-man show of unique stories in song, ‘Gefilte Fish & Chips’. He will appear for one night only at Muswell Hill Shul, with ‘a special N10 edition’, on Sunday 3rd March at 7.30pm. Daniel is an award-winning songwriter, storyteller, performer and broadcaster. All proceeds will go to the shul’s Winter Shelter Project.